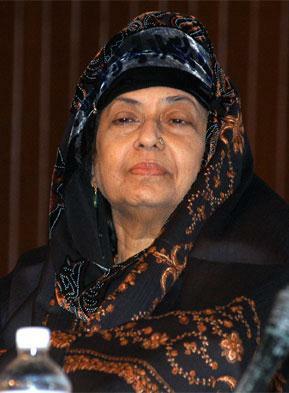 Kamala Surayya, her biography and popular works are given here. Kamala Surayya, is a shorty story writer in Malayalam and a poet in English. She was born to a family of prominent writers, thus writing was an inborn talent for her. Below I have summarized her life from birth till death. Kamala Surayya, born on 31st March 1934 was earlier known as Madhavi Kutty Amma. She was born to the Nalappat family in Thrissur(Trichur) district, Kerala. Her mother was a famous Malayalam writer Balamani Amma and her father was V.M Nair, former Managing Editor of Mathrubhumi newspaper. Nalappatt Narayana Menon, another prominent writer, her uncle had inspired her a lot and thus she got into the world of literature. She had spend her childhood in Calcutta, hence was well versed in English as well. She got married at the age of 15yrs to Mr. Madhava Das, a bank officer. Her husband was a gem of a person and had encouraged her to write and thus she wrote more and more. She spoke out her feelings without shy to the entire world, due to it many people disliked her but at last she got the relief that she spoke out what she felt rather than hiding it to herself forever. After her marriage, she was known as Kamala Das. Kamala das has three sons – Madhav Das Nalapat, Chinnen Das and Jayasurya Das. After the death of her husband, she fell in love with an Islamic scholar named Sadiq Ali who was much younger to her. She had described about her love towards Sadiq Ali and about their meetings in her books. Kamala Surayya had received lot of awards for her great works. Below is the list of main awards received by her. Kamala Surayya died on 31st May 2009 at the age of 75 years in Pune, Maharashtra – India. She was buried at the Palayam Juma Masjid in Thiruvananthapuram, the capital city.